The condition of hair loss is a topic of significant public interest, and understanding the pathophysiology and treatment of the different types of alopecia (hair loss) will surely have an impact on the men and women afflicted by this condition. Hair loss is a pervasive problem affecting both men and women, and it can have profound psychological effects on the afflicted. Hair loss is currently experienced by more than 80 million people worldwide, which encompass 50 million men and 30 million women. It is a problem in need of a solution. The author's interest in the causes of hair-loss related issues surfaced twenty-five years ago, when he began to experience some hair thinning. In a search for a possible solution to ameliorate his thinning hair, the author began an empirical journey of discovery. He experimented with a myriad of balding prevention recommendations, which led to the creation of Hair Loss: Options for Restoration and Reversal. The objective of this award-winning book is to educate the consuming public about the effectiveness of the many available hair-loss treatment and restoration modalities. It is an important, comprehensive, and valuable tool for both men and women who are afflicted with hair-loss problems. 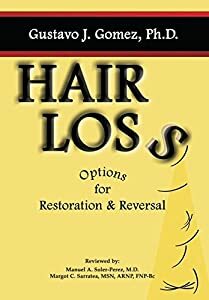 It provides the reader with a historical perspective regarding hair-loss, as well as its causes, treatments, and promising future trends. In fact, we are living in a very exciting and promising time for hair-loss research. Light based medicine is painless and heals without side effects that are worse than the disease being treated. What if you can get accurate diagnosis of many diseases with an MRI, CT scanner or Ultra-sound usually with minimal or no side effects? What if you can improve your eyesight with phototherapy with no side effects? What if you discover that there was a cancer cure that worked since its discovery in the summer of 1934 at the first cancer clinic using Royal Raymond Rife’s technology? What if you discover why this treatment is available in Germany but is restricted to animals in the United States? 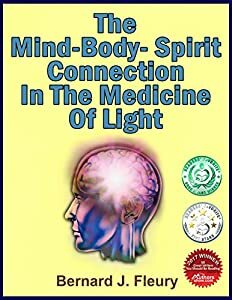 The Mind-Body-Spirit Connection in the Medicine of Light is the second e-Book and Audio Book in the Called into Life by the Light Series of five e-Books and Audio Books. Part One is a detailed expansion of Chapter IV: The Medicine of Light from the 2009 print book Called into Life by the Light, which was suppressed in April 2013. Part Two is the script of the one hour conversation I had with David Tumey on June 6, 2012. We discussed David’s part in rediscovering Royal R. Rife’s Ray Tube, reconstructing Rife’s 1950’s instrument, and shortening the time factor in producing the correct frequency, MOR (Mortal Oscillatory Rate) which would devitalize (destroy) a particular cancer. The reader/listener will also read or hear of David’s continuing efforts in this area as of July 21, 2013 when he updated parts of the June 6, 2012 conversation. Part Three is about Royal R. Rife, The timeline of his life, his Beam Ray Instrument, Universal Microscope, and BX, The Cancer Causing Microbe. Part Four is an update on Royal R. Rife’s Technology and Influence in 2014. Dr. Gordon Fimreite's 15 Steps to Healthy Living is an uplifting anduseful guide for all readers who are on the lookout for tips andstrategies to lose weight naturally, get a health plan organized, andoptimizing their health from the inside out. 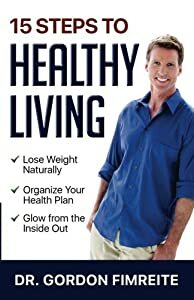 The book speaks abouteating healthily and keeping the mind and body active for a healthy andlong life. The 15 steps include food selection, detoxing from the inside out, sleep, exercise, stress strategies, and happiness that will guideall readers to achieving an enriching and fulfilling life. The book also introduces readers to the author's 105-year-old grandmother and herhealthy living, which is inspiring, and terms it as one of the mainreasons that contribute to longevity. 15 Steps puts together lots of health tips, which are simple, clear, and easy to comprehend forreaders who want to make healthy changes in their lifestyle. Thishealthy information adds insights and a positive approach towardshandling diet, exercise, stress and being positive, thereby makingreaders think about health in a new way. 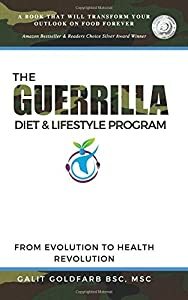 The transition to healthyliving is a slow one for those who have been leading a not-so-healthylifestyle, and the tips and techniques in this book will motivate themto make healthier choices so that they can feel better, look different,and have more energy. And as the author rightfully puts it, 'healthyliving is a process, not a destination.' The goal is motivating thereader to live a healthier and a happier lifestyle. *Beverly Hills Book Awards - First Place Winner in the category of Well-Being. *Reader's Favorite - Silver Winner in the category of Non-Fiction - Health - Medical. What happened that changed the priest—the revered healer of antiquity—into a person of science? How was the modern doctor made? Physician is Rajeev Kurapati’s earnest attempt to answer this question and others central to the practice of medicine. For instance, how have the advances of medical technology influenced society’s perception of death? How do physicians balance thinking with feeling when dealing with critically ill patients? How do we meet the needs of patients seeking a personal connection to their doctor in what may seem to be an emotionally deficient medical landscape? Is it possible to overcome some of the compromises we’ve had to make along the way? What is the promise of modern medicine and its limitations? And notably—as medical care becomes more and more digitized and automated, will the medical degree—a universal badge of respectability—continue to hold value? 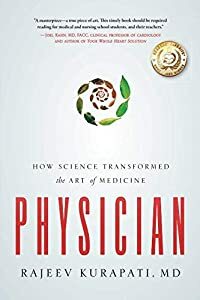 Dr. Kurapati, a practicing hospital physician, succeeds in gracefully exploring the depths of what it really means to be a doctor—and a patient—at this time in our human history, and his blueprint for building a stronger future of healthcare is an important and valuable one. High Blood Pressure. Even if you haven't received the diagnosis yet, as many as three-quarters of the Western world will have to contend with high blood pressure sometime in their lives. However you no longer need to be a victim. Drs. DeRose and Steinke along with Nurse Practitioner Li draw from cutting-edge medical research and their decades of clinical experience to guide you on an amazing 30-day journey. Learn simple natural strategies that have helped many people decrease or eliminate their dependence on medications. 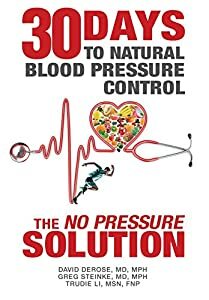 Other titles may promise fast results with natural blood pressure strategies but few, if any, are as comprehensive, readable, and practical as "Thirty Days to Natural Blood Pressure Control." Written by practicing medical professionals who share a passion for educating their patients, this book gives you far more than the latest information on natural blood pressure strategies. Its highly readable and user-friendly style combines a wealth of real-life stories taken from a variety of medical clinics and patient encounters. More illustrations, more data, and more compelling stories means more tools to educate and motivate you when it comes to drug-free blood pressure control. When valued in terms of the amount of information presented, this book is among the least expensive on the topic. Furthermore, the clinicians who wrote "Thirty Days to Natural Blood Pressure Control" realize that knowledge is not enough. Most of us know far better than we do. 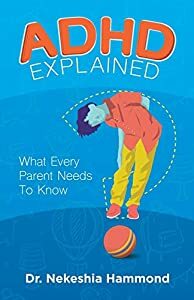 Consequently, the book's authors essentially take your hand and help guide you to strategies that will make it more likely that you will do--and enjoy--the practical guidelines presented. As an example, the book offers a number of personal worksheets where the authors help you set and achieve realistic goals as you go through the 30-day program. Greg Steinke, MD, MPH is a Lifestyle Medicine Specialist with board-certifications in Family Medicine and Preventive Medicine. His MPH emphasized Public Health Nutrition. Dr Steinke has helped many patients reverse their high blood pressure through lifestyle-based approaches. Trudie Li, MSN, FNP Trudie Li is a family nurse practitioner passionate about engaging others in the pursuit of a healthier lifestyle. In addition to her clinical experience, she has been active in health education and staff development at preventive medicine centers in the U.S. and China. Are you tired of feeling like a prisoner in your own body? Do you want to find some hope and be free of fibromyalgia symptoms and pain? A fibromyalgia patient herself, author and Fibromyalgia Coach, Tami Stackelhouse, has gone from disabled to thriving. 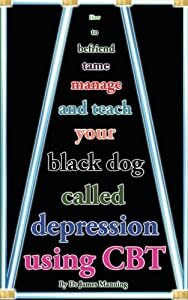 In this book, you will learn how to Take Back Your Life using the techniques and strategies Tami has used to get well. 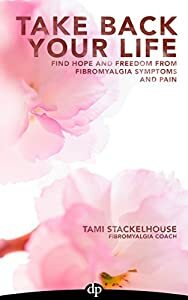 More than just a lifestyle or self-management guide, this is a concise reference book woven with Tami’s own fibromyalgia story. This book is a page-by-page survival guide for the action-oriented fibromyalgia patient who wants to feel better as quickly as possible. It’s written for the patient overwhelmed with a new fibromyalgia diagnosis and for the fibro-veteran who is stuck and needing new ideas. It is also a great resource for the caring family members and support team of anyone suffering with fibromyalgia. •Improve your quality of sleep. •Bring more joy into your life. Is it possible to overcome the powerlessness of addiction? 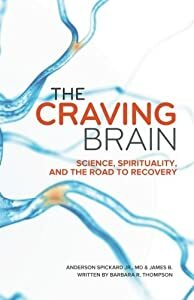 Joining forces to answer this age-old question, coauthors Anderson Spickard Jr., a doctor with over forty years’ experience in addiction medicine, and James B., a recovering addict, candidly describe the harsh challenges and clearly outline the necessary steps toward healing and recovery. Why are some people at a higher risk? Is an uncontrollable craving a moral failing or a brain injury? Why can’t addicts see their problem and just quit? Are interventions helpful or dangerous? How effective are twelve-step programs? How is brain science transforming addiction recovery and improving treatment outcomes? As hopeful as it is unapologetically realistic, this groundbreaking guide is a must-read for anyone who suffers from addiction or knows or works with addicted individuals. With courage, determination, and the right support, recovery is indeed possible.